We have some celebrities in the making - our U15 and U13 Training Squad were stoked to take part in a television commercial filming session recently and we have the fully entended version with our crew rocking the screen on and off the track! The filming was in conjunction with the new Anchor Fast Start dairy product. The TV commercial is one of six (filmed in each NZ region) featuring a selection of places relevant to what NZ has to offer. It follows a funny chap Jimi driving a branded 4WD from Cape Reinga to Bluff (and Stewart Island) giving away product. 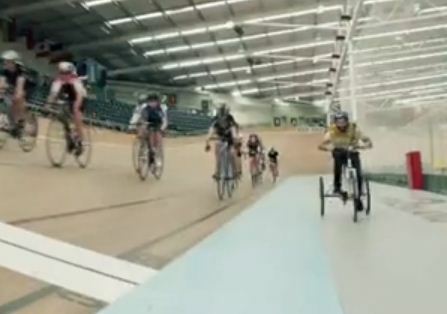 Following the headlines that cycling has made over the past year they felt it appropriate to have some youngsters on the Velodrome and they day they notified they were filming was perfect with our Junior Squad training. Keep your eyes out for when it hits the screen but you don't have to wait that long because we've just got the link to the extended final episode.